LOCATION.--Lat 41°01'06", long 74°24'04" referenced to North American Datum of 1983, West Milford Township, Passaic County, NJ, Hydrologic Unit 02030103, on left bank 15 ft downstream from culvert at crossover between northbound and southbound lanes on State Route 23, 1,000 ft downstream from abandoned Macopin Intake Dam, 0.6 mi downstream from Macopin River, and 2.8 mi northwest of Butler. PERIOD OF RECORD.--January 1898 to March 1990, September 1992 to current year. Monthly discharge only for some periods, published in WSP 1302. Records for January 1892 to December 1897, published in WSP 541, have been found to be unreliable therefore should not be used. GAGE.--Water-stage recorder with telemetry and crest-stage gage. Datum of gage is 549.17 ft above NGVD of 1929. Prior to May 22, 1970, at site just upstream from Macopin Intake Dam, at datum 34.38 ft higher (revised). 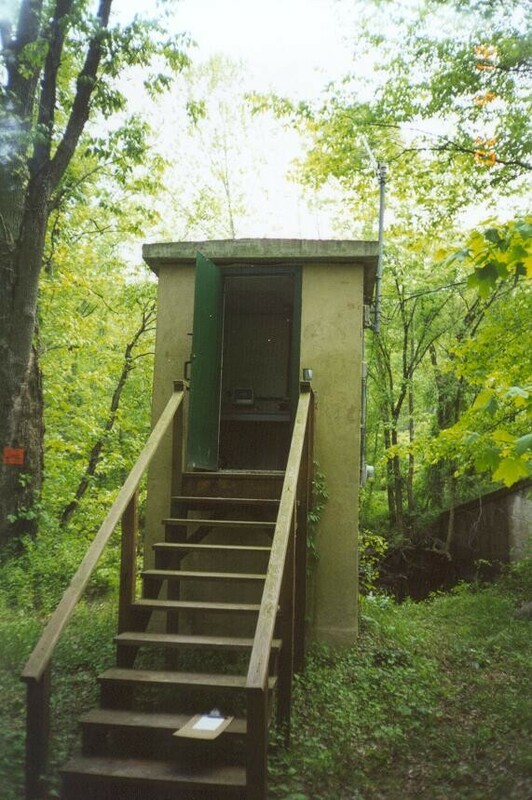 May 22, 1970 to March 5, 1990, at site just upstream from Macopin Intake Dam, at datum 20.83 ft higher. COOPERATION.--Prior to May 22, 1970, discharge figures provided by city of Newark. REMARKS.--Records fair, except for discharges above 1,000 ft3/s and estimated discharges, which are poor. Flow regulated by Canistear, Oak Ridge, Clinton, and Charlotteburg Reservoirs, and Echo Lake. Water diverted at Charlotteburg Reservoir for municipal supply of city of Newark. EXTREMES FOR PERIOD OF RECORD.--Maximum discharge, 6,100 ft3/s, Oct 10, 1903, gage height, 17.40 ft, site and datum then is use; minimum discharge, not determined. Water years 1924, 1962-69, 1973-79, 1991 to current year. Dissolved Oxygen, Percent of Saturation: July 2001. Water Temperature: July 2001, July 2009 to October 2014. Verified water-temperature data are available April through September. Data between October and March are only provisional.